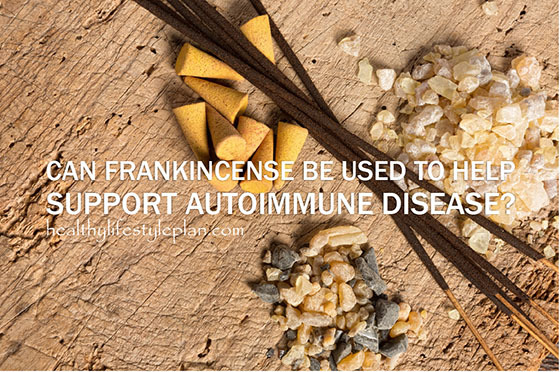 Can Frankincense Help Support Immune System? Are you like me in that you suffer from an autoimmune disease? I actually suffer from several and I have to tell you, it’s been a long and sometimes painful journey of learning how to best support my body and the autoimmune disorders I deal with. An autoimmune disease is when you’re own immune system isn’t working properly and begins to attack healthy cells in your body, as it would for foreign tissue or disease. There are many different types of autoimmune disease, such as fibromyalgia, hashimoto’s thyroid disease, psoriasis, lupus, and the list goes on. There are actually over 80 different autoimmune diseases. One of the most common factors when it comes to autoimmune disease is chronic inflammation in the body, which can cause both internal and external symptoms. It seems to be incredibly difficult to diagnose and treat autoimmune diseases. I went through the gamut of doctors, surgeries and medications, but found at the end of all that, I still felt terrible. My quality of life was most definitely not good. Although I was being treated medically for my diseases, something was still being overlooked. I found out later that this was due to the chronic inflammation in my body. My diseases were never really managed or supported properly because I wasn’t addressing the inflammation and therefore continued to battle with chronic pain, fatigue, crazy bloating of my abdomen and lots of headaches. Chronic inflammation, which most people with autoimmune disorders have, is an unhealthy inflammatory over-response. It’s responsible for the pain and fatigue associated with autoimmune diseases, as well as the visible signs of aging! Inflammation has been found to be at the root of most autoimmune diseases. Since modern medicine mainly focuses on treating symptoms, you’re hard pressed to find a doctor who will address and/or make recommendations to support the root cause of an issue. Frankincense is widely known as “Nature’s Anti-Inflammatory”, and comes from the Boswellia tree. Frankincense has been around since ancient times and was commonly used aromatically by burning Boswellia resin; the resin itself has incredible anti-inflammatory properties. I personally started using Frankincense over the past year to help remedy the inflammation in my body. For example, I have very aggressive endometriosis and fibroid tumors. I’d already gone through two surgeries and these diseases kept coming back with a vengeance! I decided to start using Frankincense essential oil because I felt like I was doing everything else right (diet, exercise) and yet I was still having inflammation in my abdomen. 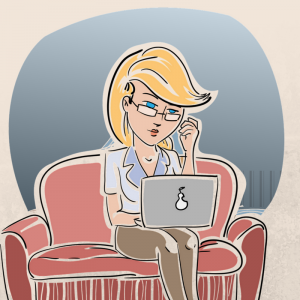 The chronic inflammation caused me to be uncomfortable all the time! I would also have a random onset of extreme pain which would debilitate me for hours. Once I decided to try Frankincense I can honestly say that I noticed a difference within a week. I don’t have to take ibuprofen anymore, which I was taking daily due to the pain I was experiencing. Also, my abdomen is flat! No more swelling and discomfort, no more tight clothes due to inflammation. What a relief! Try making your own massage oil by blending Frankincense with other anti-inflammatory essential oils (Basil, Bergamot, Cypress, among others) into a carrier oil. Add 5-10 drops of Frankincense essential oil to your bath water. You can add some Epsom salts for added benefits! Add Frankincense to your diffuser along with purified water. Dilute one drop in 4 fl. oz. of liquid. You can also put a drop on your tongue or one to two drops in a veggie capsule. I, still to this day, rub Frankincense (mixed with a carrier oil) on my abdomen twice a day. I also put it in my detox baths and one drop on my tongue every night. I also use it for joint pain – I just rub it right on the painful area or I take a detox bath, which includes drops of Frankincense and Epsom salts. I even use it on my face to help reduce the brown spots I have due to melasma! Believe me when I say that I did a lot of research before I started using essential oils. I am a true believer in the healing properties of Frankincense because I’ve experienced them for myself.